“I serve over one hundred million meals a year”, Joost Heymeijer, Senior Vice President of Emirates Inflight Catering tells us over the phone from Dubai. And, while he might not be on the plane placing the dish in front of a passenger, he still uses the first person, such is his passion for the food and wine that is served on every Emirates flight. The food offering at Emirates is miles away from what you’d normally find when flying, and can be enjoyed with wines that are chosen, stored and served carefully under his watch, regardless of whether you are flying in First Class, Business or Economy. 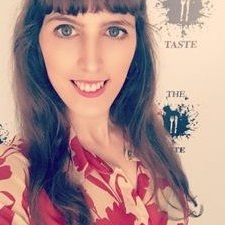 Based in Dubai since 2014, Heymeijer is a “Dutchman by birth” and holder of an Australian passport, a country in which he accumulated 22 years of experience in the food and hospitality industry. Among many other crucial parts of the Emirates experience, he is in charge of the logistics, operations and supply chain that ultimately come together to provide the level of luxury and comfort for which Emirates is known. Within all those elements, he highlights wine as his favourite responsibility and a personal passion. He’s aware of the fact that it’s not all about humidity and air pressure on a plane, and he knows that the size of the seats, and even the anxiety of flying can influence how we experience wine. 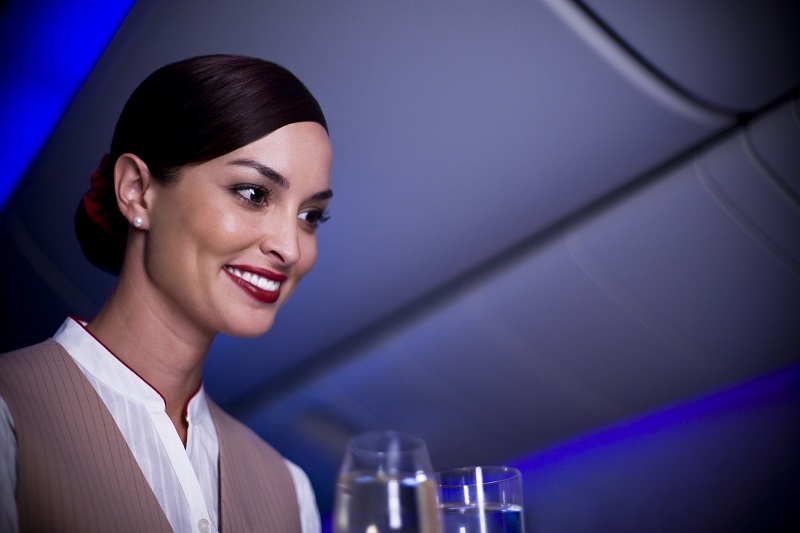 Therefore, at the same altitude, the same wine tasted by the same person becomes even more enjoyable when you’re relaxing in comfortable seats and it’s served by friendly, professional flight attendants in proper glassware. Just as sipping a glass of Bordeaux in a chalet in Mont Blanc is about one of the least stressful experiences we can think of, Joost makes sure that having a glass on board an Emirates flight is as pleasant as that – or even better. 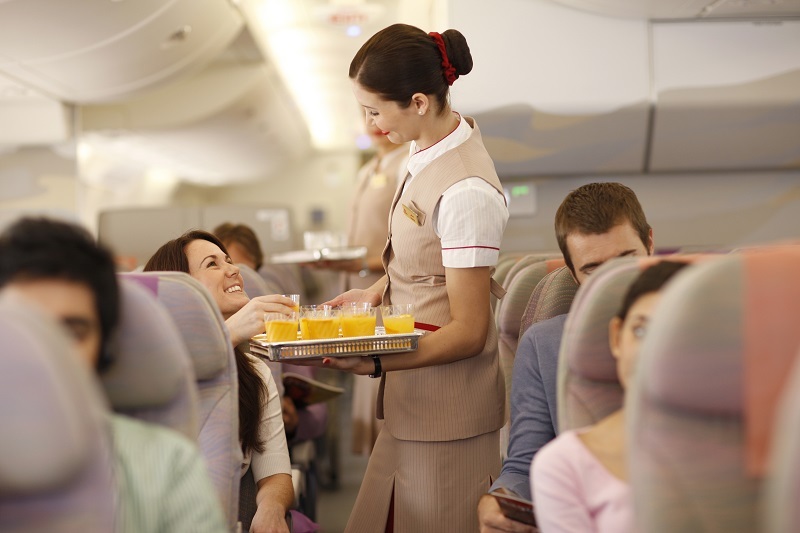 More than a decade ago, Emirates set out to do things differently. “What we’ve done is to take complete ownership over the wine procurement process” Joost explains, and he adds that they buy and store their own wines, and that they work to develop relationships with wineries and suppliers. “One of the reasons we are able to do that is because within the Emirates Group is an organisation called MMI [Maritime and Mercantile International], which is an alcohol and wine importer in the Middle East and part of their offering is fine wine.” This is complemented by Emirates’ internal wine team, headed by Joost, which includes a number of fine wine specialists who source wines from all over the world. Do you have a favourite wine to enjoy when flying? Speaking of Champagne, does altitude affect the bubbles? To enhance the Champagne experience, innovation comes on board: “we are just about to change all our First Class wine glassware” says Joost, who expects the new glassware to be available for long-haul flights in October and on shorter flights soon after. 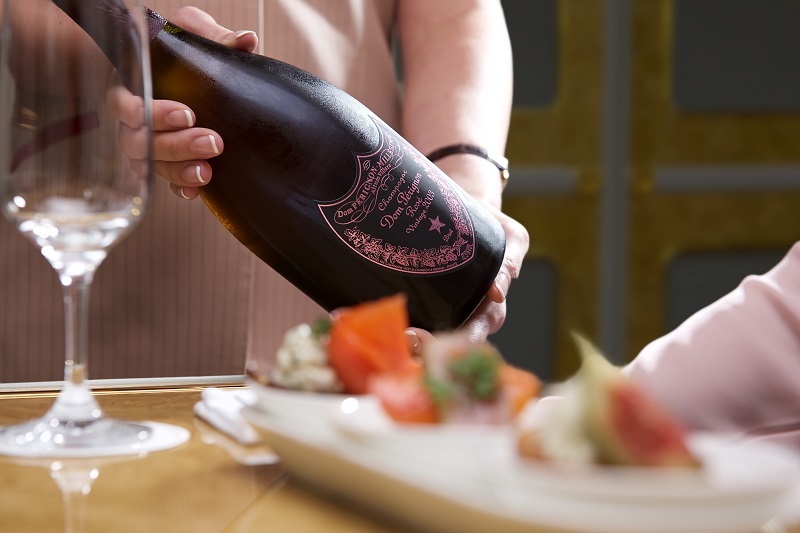 Part of that new glassware range includes a special Champagne glass for which Emirates has partnered with Dom Perignon to develop a larger design that allows swirling and a better tasting experience. What can you tell us about the wines drunk on the Dublin route? Joost points out that it is impossible for him to know exactly which wines are being served on flights departing from Dublin at all times because the Emirates’ “wine program is very fluid, so we buy a volume of wine and when it’s finished, it’s finished.” For example, this year only, they’ve changed between 200 and 300 different wines, “so there’s no such thing as a particular wine on a particular route”. For frequent flyers this means that there will always be something new and exciting to discover. 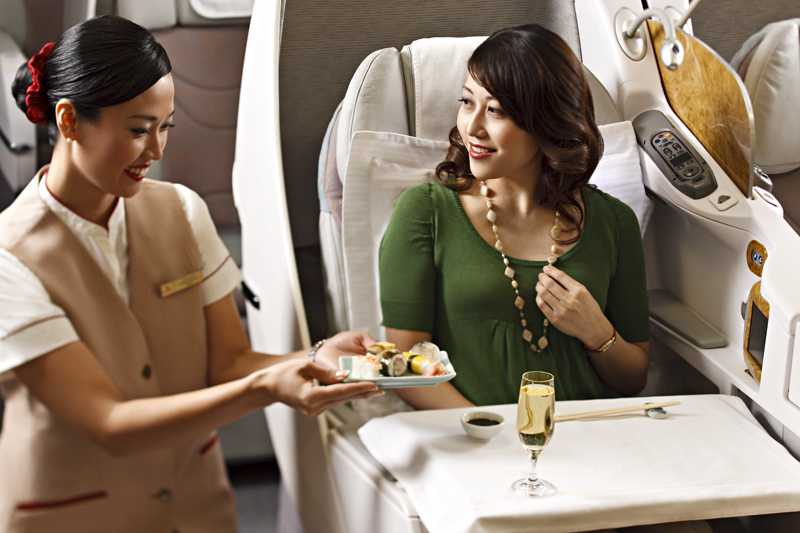 Where could a passenger get a bottle of a wine they loved when flying with Emirates? “We’ve had that request many times where people have consumed a couple of glasses of a beautiful, beautiful wine and they ask us where they can buy it, so we try to ensure that a good percentage of the wines enjoyed in First Class can also be purchased in Le Clos at Dubai Airport”, he explains. Joost has worked in the hospitality sector since he was 17 years old and has traveled the world tasting, evaluating and sourcing wines. He considers himself “naturally blessed with a good palate and a photographic memory” and that’s how he engages with wine. However, despite all his knowledge and the behind-the-scenes preparation of his team, once the glass touches a passenger’s lips it has to feel effortless. That’s why he insists on the importance of keeping it simple when it comes to wine: “the thing about wine is that you either like it or you don’t” and despite Emirates’ huge passenger numbers, “we still approach our catering and the way we treat our passengers as we would in a small restaurant”. 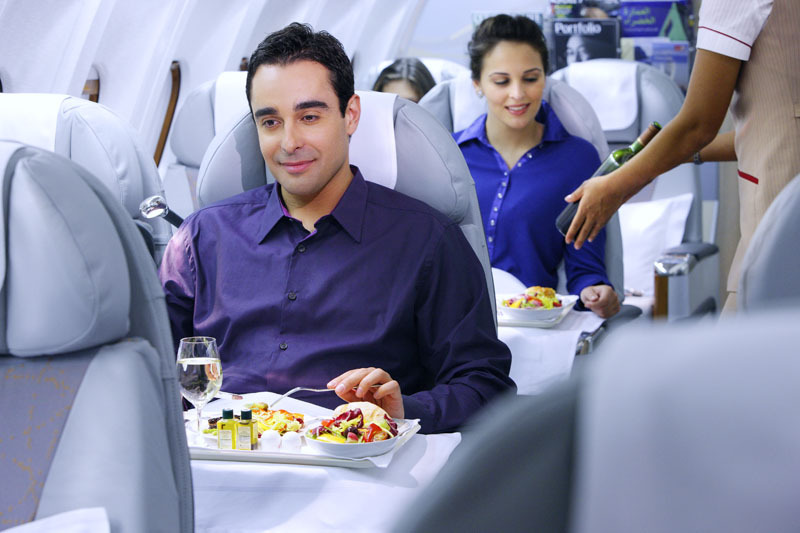 Joost tastes the food served on board everyday and constantly works to bring new and memorable experiences – he mentions a pizza offering coming soon to Economy Class as an example.